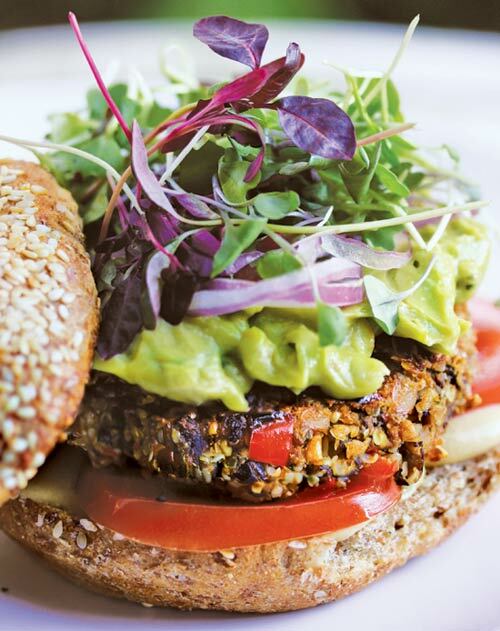 Just when I was getting bored of my vegetarian cooking, an email landed in my inbox, a press release telling me all about a new plant-based cookbook, Superfood Kitchen , written by a Los-Angeles-based natural foods chef and on-camera personality Julie Moris. Julie is also an author of four bestselling books including Superfood Smoothies so I was really excited on getting my hands on one of her books and tell you all about it*. Superfood Kitchen is more than a cookbook. The first few chapters actually talk about superfoods in great detail – you learn what they are, why they’re more important now than ever before, and in-depth section tells you all about different superfoods, everyday and the more exotic ones. This section also gives you ideas on how to use these foods in recipes, so for example we have flaxseeds and these can be used as part of a breakfast, in drinks, smoothies, sides, snacks, salads, dressings and even desserts. Lately I noticed a few health bloggers turning against so called superfoods so I will address this subject straight away. First of all, many people think that superfoods are exotic foods of high nutritional value which come from the other side of the world. There are no legal standards currently established on the definition of superfoods, so many people get confused and everybody is interpreting superfood differently. For this reason recently superfoods have been getting some negative press which is not all justified. To make it clear, superfoods are not only the foods which come from another part of the world, superfoods are also everyday foods which you didn’t even know they were ‘super’. I personally define a superfood as a natural food containing an exceptionally high nutrient density, as well as phytochemicals and antioxidants. Nutrient density is the ratio of micronutrients to calories, Julie explains. A food with high calories and relatively low nutrients, like a piece of cheese, will have a low nutrient density ratio. On the other side, a food with low calories and a high amount of nutrients, like blueberries, will have a high nutrient density score. To explain it further, the micronutrients are vitamins, minerals, antioxidants and phytochemicals – this is what you should look for when you want to eat healthily. Ask yourself: ‘What can my food do for me?’, Julie suggests. Like this you can easily determine whether eating a certain food is a smart choice for your diet or not. Isn’t eating locally the best practice? Many superfoods are grown in other parts of the world and one of the questions which is answered in the book is about eating locally grown food. Julie totally supports the local food movement but unfortunately many superfoods are not local to her. For Julie it’s not a black-and-white issue. Although there is a potential for some superfoods to grow locally, currently the demand is not strong enough (in North America), this may change in the future of course if people start to consume more superfoods proving that the high demand exists. Julie also thinks that buying superfoods actually helps struggling farming communities which is true for some, however I need to mention quinoa here. In the recent years, demand for the crop has skyrocketed and this has unfortunately made quinoa much less affordable for the average Bolivian. Luckily, there is a quinoa which is grown in the UK, a much better option if you want to buy quinoa and eating locally is important to you. As mentioned previously, the book starts first with all the details about superfoods and gets you to speed about them. There is also a part about Smart kitchen techniques where Julie explains certain methods of cooking and which appliances are great to have. If you’re going to buy just one kitchen appliance, Julie says, a blender is it. Moving on to the Recipes part, you have 8 sections to browse: Breakfasts, Soups, Salads, Entrees, Sides, Snacks, Sweets, Drinks. Yes, you can find even smoothie recipes at the end, great right? From all these recipes you will also find some totally raw vegan dishes; another bonus? All the superfoods in a recipe are marked with a special sign but if you don’t have that particular superfood at hand, there are substitutions which you could use instead and you can find these listed at the end of the book. So for example instead of quinoa you could use millet or brown rice and instead of cacao powder you could use cocoa powder. I was really happy to see this list. If I want to make a particular recipe but one ingredient is missing from my kitchen I could still use something else instead. I must admit though, before I could actually make any food from the book I had to do some online shopping as I couldn’t find the required ingredients in my local stores. Acai Bowl – This bowl is made with granola but I used muesli instead. 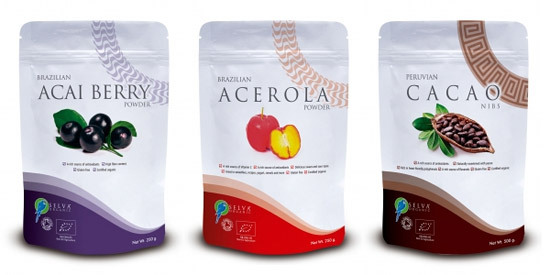 I quickly learnt that acai powder has pretty strong flavour so putting too much is not a good idea. Overall, pretty healthy breakfast but acai powder is an expensive ingredient. Tomato & Quinoa soup recipe – simple and easy to make but be careful about the vegetable blend you use as this will determine the taste of the soup. I had broccoli in mine which I don’t think it went very well with other flavours. Cabbage-Pomegranate Slaw – Amazing recipe, my favourite side salad ever! Really loved this and it’s so simple to make. I didn’t exactly follow it as I didn’t have all the ingredients from the recipe but it still turned out amazing. Don’t all these recipes sound amazing? I am definitely impressed and with all the excitement I quickly forget the fact that they require some ingredients which I may not have at home. But it’s not an issue for me to stock up on these ingredients, I love to experiment in my cooking, however not everybody will be impressed and not everybody will want to purchase these superfoods, some of them being pretty expensive. For this reason, this cookbook is not for everybody who wants to eat more healthily in the new year. It’s quite a big step from normal eating actually so I believe this book is more suitable for those people who are already vegetarians/flexitarians and have experimented with some superfoods before. I would also recommend this book to people who love food and want to experiment in their kitchens, vegetarians or not. No harm having more plant-based meals which are really nutritious and tasty. I wish there was a cooking time for every single recipe which would allow me to decide whether I have time to prepare something on certain days or not. I hope that this is added in the next version as it would definitely be a helpful addition. It would also be nice if every recipe had a picture with it although this is not a deal breaker. 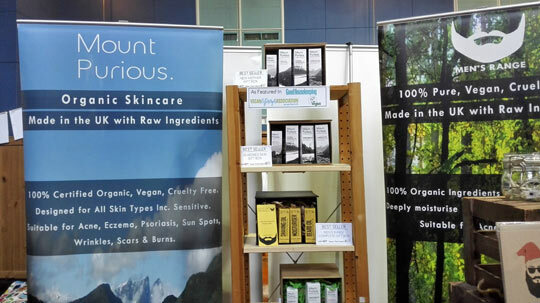 Finally, there is a section at the end listing different websites where you can buy your superfoods from. Unfortunately these are all American websites, apart from Amazon which you can find in the UK as well. Let’s hope the next version will list some UK websites as well. Luckily you should be able to find all the superfoods you need on Amazon although some of them may be a little bit expensive. All in all, I do like the Superfood Kitchen cookbook. Recipes are unusual but healthy, nutritious and really tasty. If you like to experiment in your kitchen you will love this book. Although all the dishes are plant-based, your taste buds will not suffer. Julie is a chef and unbelievably creative. She uses a variety of flavour enhancing ingredients to create amazingly tasty dishes. 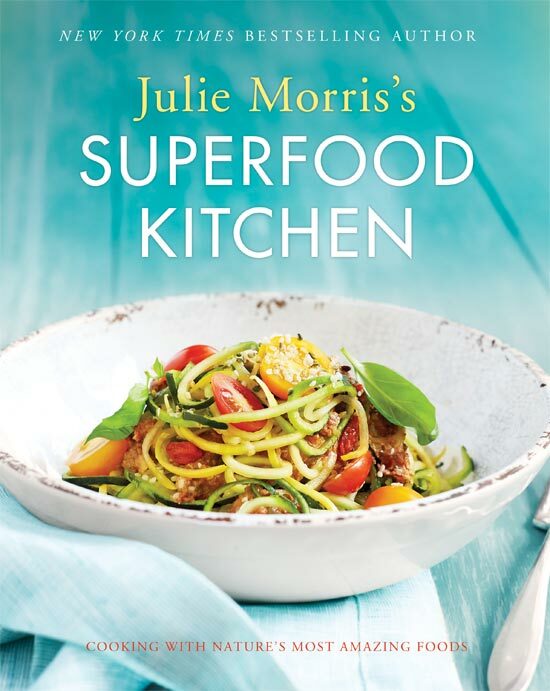 You can follow Julie on Facebook and Twitter and buy the Superfood Kitchen cookbook on Amazon . I will be also sharing one of the recipes from the book in a separate post so stay tuned, you don’t want to miss this one out! This book sounds perfect for you then! Julie’s recipes are full of flavour and should be great even for people who eat meat.